How do I relate with the prophet? I don’t wear clothes like him, eat like him or live like him. But when it comes to respecting fellow beings, nurturing goodwill, mitigating conflicts, forgiving others and building cohesive societies, I can relate. 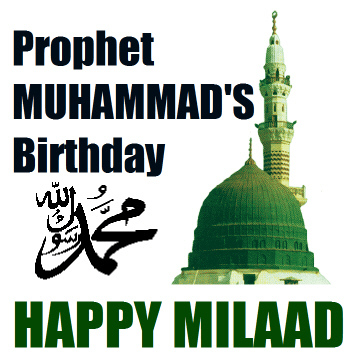 Prophet Muhammad (pbuh) was born on 12th day of Rabi’ al-Awwal, the third month of the Islamic calendar, and the year was 571 A.D. The birth celebrations will continue through this week, and if you wish to greet a Muslim, you can say, Milaad (birth) Greetings, Happy Maulood-an-Nabi, Maulood-an-Nabi Mubarak, happy Eid Milaad and Milaad’s blessings to you. First thing first, he took the larger view of the society and became a model of what it takes to be an exemplary citizen. The first requirement of any civil society is to trust each other in living their daily life safely and without fear of the other. He earned the trust of the society for being truthful, honest in his dealings, trustworthy and just. The Jews, Christians, pagans and others called him Amin, the trust worthy. That was indeed the first foundational Sunnah (prophet’s example). Wherever he saw conflicts between people, he found a way to mitigate and nurture goodwill amongst them. Indeed, he was committed to building a cohesive society, where no one feared the other, and he continuously built upon creating balance and harmony in the society. Blessed are the peacemakers, said Jesus! Indeed, Prophet Muhammad is my mentor. Muslims celebrate his birthday in a variety of ways, including cooking the simplest food as an expression of humility. They sing the likes of Christmas carols, called Milaad, Nasheed, even Milaad Carols and other names. I have found it peaceful to think about his work and reflect on how I could relate with him, the ultimate peacemaker. Do I forgive often? Do I stand up for the rights of others? Am I a blessing to fellow humans? Do others feel secure and safe around me? Today, I have concluded my day with a short prayer and a commitment and get on the road. God willing, I will follow him to the best of my ability. As a kid I learned things about him and did not relate with him at all, he was too divine and remote for me. All that changed when I read the book “Muhammad” by Karen Armstrong. She narrates his life from a non-religious point of view, as a civic leader of the society, a dimension that I appreciated it very much. Karen Armstrong’s book is one of the five reasons I chose to become a Muslim after a lapse of nearly three decades. He was a man that I can relate with, making decisions that create trust, mutual respect and a sense of fairness among his people at that time. That was indeed the role of every prophet and peacemaker of the time. When someone hurts me, I think of the prophet, he advised against score keeping and piling revenge and aggravating each other, and I love the freedom it gives me, freedom from brooding and obsession to get even with the other. When someone dialogues with me, prophet’s words jump at me, to respect the otherness of other, without having to agree but respectfully differ and move on. Indeed, it is a big lesson in conducting civil dialogue. When I am frustrated, I think of prophet’s narration, God told him to do his work, and not worry if people don’t get his message, give them the room to make up their own minds, and let me guide them, and you respect everyone’s free will. Every day, I think about the Prophet, how he would have found a solution to a given conflict, and all I see is the application of the principles of fairness and justice to every human, with goodness and inclusiveness. My spiritual mentors are Muhammad (pbuh) and Jesus (pbuh), and my civic mentors are Mahatma Gandhi, Martin Luther King Jr., and Barack Obama. When I think of getting even with someone who maligns me, I think of the advice of Prophet Muhammad and Jesus: The best thing we can do is to forgive the other; it brings relief and frees us from being possessed. When I see injustice done to others, the prophets words ring again, the least you can do is to speak out against injustice. Injustice to one is injustice to the whole humanity. When I see inequality in our society, our immortal declaration of independence kicks in for me, that all men are created equal. I think of prophet’s last sermon, where he said no man is superior to the other and that all are equal. Whenever I think of the liberation of women, I think of the prophet, he was perhaps the first women’s libber; and he officially liberated women from the shackles of the bondages. He was a radical of his time, as Jesus was, and said women are free to marry or divorce, own their own business and property, separate from their husbands, and he introduced the idea of consent and free will in marriage. Let’s not judge America by the Newtown, Aurora and Oak Creek murderers, and let’s not judge Muslims by the misogynistic men among them either. Whenever I feel judgmental toward others, the prophet’s voice pulls me back, only God knows everything about the other, not me, then let me not judge anyone without the full knowledge. When I think of standing up for others, I think of Gandhi and MLK, if we don’t stand up for others, why should anyone stand up for us. Whenever the idea of being better than others crosses my mind, I think of the prophet, who said, I am a human like you, and don’t make a God out of me or paint my pictures and put me on the pedestal. He even said to his daughter, you earn your paradise through your good deeds, the good you do to the fellow beings and not because you are the Prophet’s daughter. Whenever arrogance attempts to creep in me, I hear the words of the prophet, “Treat all prophets the same, no human is above the other” — instead of saying I am the greatest prophet and listen to me. Feeling and practicing equality is the way for creating peaceful societies. I will be writing a full chapter on the prophet in my upcoming book, as to how I relate with him in my daily life, and I have learned to give a 20 minutes motivations talk on “Prophet the Peacemaker” and that is rejoicing.